I don’t have children so my experience is with others who have special needs children. One friend had a daughter who experienced numerous strokes before the age of one. This was back in the 1980s when there was a lot of unknowns on interacting with her. I didn’t live close by but when I visited I played with her. Her parents attitude was ‘why bother’. I don’t know what she retained but she was always glad to see me and stuck to me during my visit. Fortunately things have changed. I can honestly say I would love playing with the toys you introduce. I wouldn’t mind some sensory rings myself. It might stop my unconscious nibbling at junk food! Currently I don’t know anyone who lives with this but if I do meet someone I will give them your web address. Your past experience playing with your friend’s daughter who had special needs only showed that this kid , like all other special kids, always appreciate the time that we spend with them , especially playing with them. Even without toys, just our mere presence brings them a lot of joy. This is a special bond that parents and caregivers need to develop with these kids. The toys that we offer our special kids are there to help them focus and allay their anxieties and provide them with additional learning while having fun. Thanks for passing by and for planning to refer my site to your friends. This is a great topic. I do not know any children with special needs at the moment, but I will keep your advice in mind. I certainly agree that kids need play and stimulation. Especially the special kids that you are talking about. My only concern is letting kids with 10-year-old bodies and 5-year-old minds play with real 5-year-olds. That could be challenging. I know, physically it could be challenging, but mentally, they would be talking and thinking at the same wavelength, so eventually they will understand each other. Guidance of grown ups is very important here. Just like with parents or caregivers, they need to play with their kids at their level so they can connect. Great post! I used to work on toy development. For toys in developing motor skills development, there’s no different for regular and special kids. But for learning language is concern, there is a difference. One point I want to raise out is the risk of choking by small objects, it could be something that parents of special kids to pay attention. All kids in the world, whether regular or special, have the right to enjoy learning and playing with toys. You are right, all kids whether special or not, have the right to play with toys and of course, parents and caregivers need to supervise them especially those with small parts, which in the first place the kids should not be allowed to play with. For toys that help in developing the special kids’ language, they need to be exposed anyway, like the “talking” phones or laptops because with repetitive exposure, they will eventually learn to speak and understand, though with different pace for each child. Even the cell phones and television, letting the kids listen or view for an hour or two everyday would help them develop their verbal capacity. Reading to them as well would be very helpful. Or just talking to them at all times. These toys look really neat. I especially like the look of the Sensory Ring and Fidget Toy, the hop ball (I had one of these as a kid and loved it), the magnetic toy and the crash pad. The Sensory Ring and Fidget Toy looks like something many people might want! I am glad educational games and those that provide sensory experiences are becoming better understood for all kid’s development. Good for you for sharing this information with the world! All these toys are actually recommended by therapists so they are very useful for the special kids, and even all kids, I would say. Glad to know that you appreciated how they are helpful for our children with special needs. Of course the sensory rings and fidget toys are awesome. I loved reading your article. There is just a special place in my heart for special needs kids, because they are the sweetest people on this earth. My mom used to teach special needs kids and she loved it more than anything. What makes these toys geared for special needs kids? Is it that they’re softer toys and can’t hurt you? Glad that you had a nice experience with special kids through your mom. Truly, they are angels on earth. They could uplift our mood anytime when we are around them. These toys are are usually tried by therapists and are really fitting for special kids because aside from giving them joy, they are soft and comfy like you said and most are educational as well. Some of them like the puzzles are big enough so the kids will not have a hard time grasping them. They also motivate their minds to explore and be creative, while some provide soothing and calming effect. Different toys have varied purposes or effects on the special kids, and therapists usually know which are best for them depending on their needs and present developmental milestone. As I liked my first visit to your website I have come back to read your latest post. When playing one learns and special children, the same as other children need to explore this exciting new world. Smells and colors are everywhere. New shapes they need to touch, all this is wonderful and broadens their still small horizon. You are right in saying that parents need to take care to buy toys which are good for their childs level of understanding. You present a nice long list of great toys. I like the Stretch Dino Wrap. I can imagine that a child wearing this will have great adventures. Then I also think the Magnetic Number Maze looks really pretty, while playing one can tell some nice animal stories along the line. I think your post will be a big help for parents who need to get the right toy for their special child. I remember you from last time with your unique name. Thanks for visiting again. These toys that I mentioned are all therapist approved and I know children with special needs will love to play and learn from. You are right, parents and caregivers need to spend time with their special kids and guide them or encourage them to explore their toys just like the magnetic number maze and tell them animal stories while playing. It is a great bonding time for them, as well to build trust to their parents or caregivers. I live in a rural area in South Wales, just outside a town named Carmarthern, which has a large secondary school which has a large department set out for the special needs children in the area. It was actually the school I attended in the 80’s, but this specialised department was not there then. I actually have three friends that work in this department, and they had little experience with special needs kids before taking it on. They now insist that the kids they look after there are some of the most loving and caring kids they have come across – you only have to come at them with a slightly different angle, understand things from their point of view. They will be really excited to see this sort of website, and article surface – I will share it with them this week. I see from your bio that you have medical experience – have you ever worked with special needs kids? Special education programs for special kids are now part of regular schools, unlike before, so these kids and their parents are so lucky to have this resource nowadays. Kids with special needs are angels in our midst- they are so innocent and fun loving, oozing with unconditional love. I understand how your friends who are working with them find them so loving and caring. I took care of all kinds of kids when I was in active practice with my profession. From time to time I got to see special kids and I have a family of special kids- my sister and brother and 2 nephews and one niece. They are all awesome and so easy to live with. Thanks for reading and planning to share my website to your friends. I have written lots of articles that they can learn from. This post above will help them decide what kind of toys their kids in school will love depending on their needs. Once again a very good article Marita and you give some solid parental advice also! For example, I make it a point to play with my kid every day. Even if I’m not in the mood, which is something a lot of parents can relate to. But I notice that kids appreciate it soo much when you play with them. For them it means everything. Our kids will always appreciate the time that we spend with them. Especially if we play with them. These moments will be etched in their minds and hearts for years to come. Even with special kids, the more that parents share with their playtime, the more trust they build. Thanks for visiting again. I really appreciate it. What a fantastic site and resource you have here for parents and carers of children with special needs. My nephew is autistic and he is so amazing I love him to bits. We found that he loved toys and other objects that were very sensory in nature. He would have loved the sensory rings you have on this site. He used to like a toy we had that had lots of changing colours but really didn’t like very noisy or noise repetitive toys. Have a great day, Again great site and resource. Glad to know that you have a first hand experience with your nephew who is autistic and observed how he loved certain toys that address his sensory needs. He didn’t like noisy or loud toys because it triggers meltdowns. Thanks for your nice comments. I’d like to offer as much great information to parents and caregivers of special needs children to help them give the best to their kids. Hello there. Thank you for sharing this awesome toys special needs children will love. Toys these days are fun, educational and would make our kids smart. Indeed parents and guidance feel inner joy and happiness when their kids are happy. I love puzzles. Fun and kinda tricky to play them too. These recommendations are good to go. Thanks Barry for dropping by. Indeed we parents need to think real hard when buying toys for our kids, be they special or not, so they get the best, for them not only to enjoy but be educated as well. Puzzles are real fun, and especially for children with special needs, it would be a big accomplishment for them when they fit together all the pieces. In looking over the list of recommended toys, I find that most of them are first and foremost, safe! Soft, cushiony toys that wouldn’t hurt, most of them, if thrown. 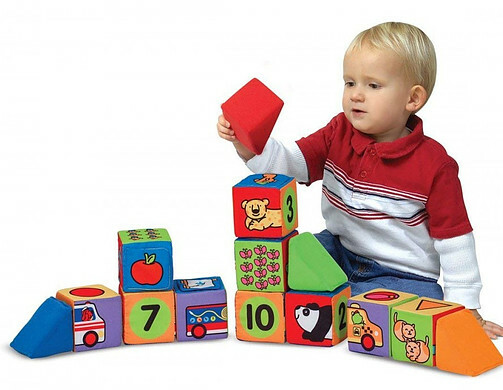 Then I see that they have tactile benefits or educational benefits, and of course blocks are a staple for the development of every child. I love your site – it’s a wonderful resource – and I just wanted to pop in and thank you. These toys are recommended by therapists for special needs kids and are very safe and educational, or promote enhancement of their skills. What a great website. With the holiday shopping season underway, I am glad I found this. I like to get something for co workers kids, and I know a few have kids on the autistic spectrum. Not having a lot of experience myself, I definitely need some guidance. I’m going to get a frew of those stretchy dino wraps, I think anybody can enjoy that as a gift! I agree, those stretchy dino wraps will be a big hit for the kids. Wow! I love your website and your story. What you do is so beautiful! I love the toy selection you have here. I totally agree that some of them can be enjoyed by all children and that parents should play with their children. My husband and I have so much fun playing too. Indeed, playing with our kids, especially if they have special needs, promote bonding and lots of happy time together. We are also able to observe up close how they react to the toys and how they learn from them, and we are able to guide them so their joy and learning are maximized. Yes, the crash pad is a good choice, your son will squeal with delight playing and jumping in it. Thanks for the beautiful comments. This is very informative and interesting. I love the idea of thinking through what toys or learning styles should be used with kids with special needs. And the examples here are very good! Is there any information on technologies that can help or not help these kids in their development? Like in regards to computers and video games or whatever? Technologies are also helpful, like if the kids watch video Nursery rhymes or kid’s TV shows, but their time needs to be limited for health reasons. Video games, as well, for the older kids or those with mild mental incapacities, as long as they are guided and limited for at most 2 hours a day. I would still mostly suggest toys that are organic; that enhance their creative minds and thereby let them learn through them , such as puzzles. Thank you for sharing with s this helpful post on Toys for specials needs children.In many countries ,people don’t take care about children with special needs but it is very important that people understand that those children are just part of our families and must be treated like normal children . In my village,many parents would feel ashamed to give birth to a kid with special needs, they could try to hide the kid from the society so that people never found about that kid.That was awful no?But these days our government has set rules that kids with special needs must be treated like other kids and they are living normal life. They are studying together with normal children ,playing like others and that’s a fantastic improvement . It is great that there are toys which are made just for them, thi shows how those children are loved by the society. Sorry to hear stories about parents in your place who feel embarrassed giving birth to kids with special needs. But thankful as well that the government is doing their best to let them be cared well so they live as normal as possible and learn to be independent in the future. Government support to these kids are very crucial and well appreciated by families. After all, as you said, our children with special needs deserve the love and support of everyone. Playing with your children strengthens the bond that you share with them, although this is important for any child it is so much more important for a special needs child. It is great for a child to have a toy that comforts them and keeps them busy. Keeping them active and engaged in what they are doing helps to calm them. I like the sensory ring and fidget toy. 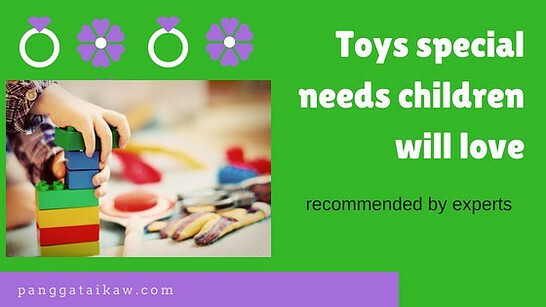 Special needs kids especially those who are quite anxious, like those with autism spectrum disorder really benefits from toys that have calming effect like the sensory rings and fidget toys that you mentioned. These are recommended by therapists so they are very helpful. I use to work with children with emotional disturbing pasts and I am amazed on how similar the chronological aging is the same for autistic kids when it comes to learning. In my experience of working with kids with a delayed response or even growth taught me so much patience when trying to just communicate let alone teach them anything. They appreciate just the little gestures. Colors really do play a part in toys and food for special needs children. I love how different each toys is and describes what unique function it offers because that is important as well to know why these toys are that much more helpful with slower functioning kids. I would say you are lucky to have worked with children who had some psychological issues in the past, because their vulnerability made them rely more on your care as much as they needed support. I’m sure you have learned a lot from them as well, like becoming more patient and giving more love and support without thinking of accepting something in return. That was an experience that you will always treasure. Likewise, I do agree when you said that colors are important in choosing their toys because these special kids of course do enjoy colorful stuff because it brightens their day. I agree that toys should promote learning, especially for children with disabilities. They need to adapt much more because of their special needs. One of our neighbours has a 10 year old girl who has some disabilities. It is hard to go to school for her and she needs special treatment all the time. When we look toys for her for various occasions it is not always easy to find the proper ones. Lately we were able to find some toys as described in your 3rd chapter ‘speak to me’. We saw the result that these toys are more effective and helpful. 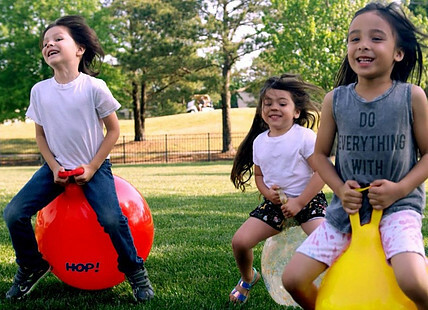 I find entertaining using hop balls because you can play together with kids. And it is a good mood for you and for your kids. I would definitely want to try a crash pad. Is it durable and strong? Because we do like quality stuff and items which last a little longer. Of course, kids have a variety of toys to play with and they always want to get new toys a lot. But toys like crash pad may be good for a longer term and usage. Thank You for an inspiring post and information which will be very useful. I’m happy that you value toys that promote learning because learning while playing will not be boring at all for our special kids. Playing with them or looking for the caregiver or other kids to play with them is also very helpful for them to enjoy more and learn from each other. Yes, this crash pad is durable and strong and kids have lots of fun jumping on it , even with a friend. It develops their motor skills and balance, as well. These are all great gift ideas for toys for special needs kids. I have a special needs niece who is the sweetest little girl. I have been looking for some good Christmas gift ideas, and looks like I have found the right page! I like the sensory ring and fidget toy. What age group do you think this toys is recommend for? Happy to know that you appreciate and love your special needs niece for what she is. Those sensory rings and fidget toys can be helpful at any age, as long as you want them to focus, relax and en-gage in whatever they are doing, such as when you read to them or let them do some writing activities. What a great article. My grandson who we raise has very severe ADHD as a result of drug use by his mom when she was pregnant. Few of the best toys we have figured for him is Fidget spinners, lego and playing checkers. Of course we do allow a little bit of screen time but not much. I love some of the ideas you have portrayed here and you can bet we will try a few of them. Once again thank you for a great article that Im sure many people can use. Your grandson is lucky to have you who understands what toys to give him so he will maximize his learning and help him in his sensory needs. With proper support, he will grow up and be the best that he can be. From my experience I can tell you that the sought of toys we give children to play with really matters. Like you said, kids like to learn as they are having fun and knowing the right type of toy to give to your kid really matters. I would like to ask a question. I don’t know why some parents like to give their kids action figures. I don’t know how that is going to help with the kids learning. Do you maybe have an idea why parents do this because I have no idea why they do. I believe it is their kid’s choice to ask for those action figure toys, most probably because they see them on TV , movies, or on magazines/flyers. In a way, kids learn because they start to imitate these superheroes and learn the values that they impart, such as helping those in need. For special needs kids, parents need to give them toys appropriate for their mental age, so even if the child is already 12, but mental age is only 4-5, those action figures could still be helpful to them, too. I think some parents take a short cut on parenting and resorts to tablets and ipads to make their kids “behave”. I am wondering if we can give do those to special needs kids. Also, I know most parents would love to see their kids with special need interact with other kids of their same age. In those cases, I am afraid that parents may ask their kids to use toys appropriate to their actual age so others will not make fun of them. What is your advice on that? Tablets and ipads could be useful to our special kids because it will somehow enhance their communication skills, but there should be a limit to their use, and parents need to buy educational toys that will promote creativity and enhance their imagination, like puzzles, which should be offered more. I always emphasize that toys for these kids should be appropriate for their mental age because they will not be able to cope and understand how they work if given toys for their actual age. It’s good to let them play with kids their age as long as those kids understand their incapacities, so parents and caregivers need to guide them at first. you gave really useful tips and advices here! I was once at my friend’s place when she guarded a child with special needs. The kid was 8 years old than and was pretty calm and also happy. He smiled a lot actually. I noticed that she gave him some stuffed geometrical toys – similar to that you put in #1 part. She had soft bed so it was useful, because the kid jumped on it (I think that ‘Crash pad’ is a great option, cause all the kids love to jump, especially on bed and something similar to that).It was a different experience for me, but not to much because they are lovable and people should respect them – to be gentle when they are young but also when they grow up. I watched tv show ‘What would you do’ with John Quinones once, and they set up a guy with special needs to work in the mall – his job was to put stuff into bags. When the lady who was also an actor, deliberately commented with owful and ofensive words, the people protected the guy and stood up agains the ‘lady actor’. I was so glad to see that people care and treat them as equals. It is very important to give them ‘wind in the back’, to make them feel accepted and to let them know that they are good, smart and beautiful persons. Of course, also proper education and games (toys) just like the ones you listed in your post, are important. I’m happy to learn that you had first hand experience in dealing with a child with special needs, as well, you have watched that show wherein it was shown that these kids need to be accepted and cared just like normal persons. With proper support, including providing them with toys that suit their needs, these children will grow up and be the best that they can be, eventually will be helpful citizens, just like the one in the TV show. This is a great post and it was very informative. That is great that these types of toys promote imagination and creativity. Those are two traits that benefits everybody. The Crash Pad looks like a great toy for children to have to develop their motorskills and balance. Sooner or later all children will fall or tumble. That certainly was the case for me in my youth when I was learning how to balance on a bicycle. I fell off more times that I could remember. I fully agree with what you said about parents and caregivers being present. That is a very important for a child’s development especially in their informative years. Truly, toys for our special kids need to be educational and promote creativity, as well as develop their motor and sensory skills. Lots of parents like the crash pad, myself included, because aside from giving joy to the kids, jumping is a good exercise, and their balance and motor skills will be enhanced. Of course, the special needs kids can always outsmart us in many ways, whatever their mental age is. I also had a sister with Down syndrome, unfortunately she passed away 4 years ago. She also had a mental age of 5 and always loved playing the toys of her younger nieces and nephews. Yes, these toys will be useful and appreciated by all kids, especially those with special needs. These are not only great learning tools for special needs children, but also any children and adults as well, especially puzzles. This is a very informative post that I enjoyed reading, though I do have a question that I’m hoping you can answer. Are these toys more effective for certain disorders than others? Or are these toys good for any child suffering from many different neurological disorders? These toys are okey for any type of kids with neurological disorder, you just have to consider the mental age and find the appropriate toy. They are not specific for certain disorders, so aside from mental age, you also have to consider their needs, like are they hyperactive and cannot focus, then you have to offer toys that give them engagement.